According to mall management, Saks Fifth Avenue will replace the Sears store at Toronto's Sherway Gardens. Saks will occupy over half of Sherway's 225,000 square foot Sears store location which Sears sold back to landlord Cadillac Fairview in October. Saks is expected to open in the spring of 2016, about one year before the Sherway Nordstrom store which will now open in the spring of 2017. We've been told by a source at Cadillac Fairview that Sherway's Saks Fifth Avenue will be about 132,000 square feet, even larger than Holt Renfrew's recently announced store at Mississauga's Square One. The same source tells us that Saks at Sherway will feature a 25,000 square foot 'food hall', differentiating it from Holt Renfrew as well as from American Saks stores. We had initially speculated that Saks would to open shops-in-store within existing suburban Hudson's Bay stores, and this is obviously not the case now for all Canadian Saks stores. In December we noted that the entire 225,000 square foot Sears might be a bit too large for Saks at Sherway, especially as only two American Saks locations are larger than 225,000 square feet, and both are 'urban' flagships, being the Manhattan (646,000 square feet) and Beverly Hills (275,000 square feet) stores. Sherway Gardens is one of Canada's most productive malls, enjoying per-square-foot sales of almost $900/year according to its landlord. Hudson's Bay anchors the opposite end of the mall from Sears. Other anchors include Holt Renfrew (which is possibly staying at Sherway and expanding) and, in 2017, a Nordstrom store which will be one of two Toronto locations. Sears will be vacating its Sherway location by February 28th, 2014. Hudson's Bay Company CEO Richard Baker previously discussed opening Saks at Toronto's Yorkdale Shopping Centre, as well. We'll update you when we hear more on this and other possible Canadian Saks Fifth Avenue stores. "Hudson's Bay", "Saks Fifth Avenue", "Sears", "Sherway Gardens", "Toronto"
that it would occupy 225,000-275,000 square feet. Some of Sears' current Toronto Eaton Centre space could also be subdivided for use by multiple retailers. We'll elaborate soon in an article devoted specifically to Sears' Toronto Eaton Centre real estate. The top four floors of the store will remain Sears Canada's corporate headquarters, at least in the shorter term. Sources tell us that Sears Canada will continue to utilize its $1/square foot/year lease for this office space (which would have expired in the year 2077), making it far less costly than other available office space. Sears will be vacating the lower retail portion of this location by February 28th, 2014.
occupy part of the current Sears space, though Saks would likely not occupy more than about 130,000 square feet. Sears will be vacating its Sherway location by February 28th, 2014. Markville's Sears store is 130,626 square feet according to its landlord, and we think the store space has limited potential for an upscale replacement anchor store. The mall already features Hudson's Bay and Walmart as its anchors, and the entire mall spans close to a million square feet. Sales per square foot at Markville are only about $490/square foot/year according to the mall's landlord. La Maison Simons could replace part of Sears' space. The space could also be subdivided for multiple smaller anchors and other stores. We doubt that, given the mall's demographics and sales, Nordstrom, Bloomingdale's or Saks Fifth Avenue will replace Markville's Sears any time soon. Sears will be vacating Markville by February, 2015. This 127,205 square foot Sears store is in London, Ontario's most productive shopping centre. The mall, in fact, boasts sales of about $770/square foot according to its landlord. Other anchors include a relatively small Hudson's Bay store (at about 85,000 square feet) as well as a 91,200 square foot Target store. One could speculate that Sears' space could be replaced by Nordstrom, as the city and store arguably share some of the same characteristics. London is a conservative but relatively well-to-do city whose population could possibly support a Nordstrom. Nordstrom, itself, has been described as being both conservative and upscale. We doubt London would have the quantity of luxury-oriented shoppers to support Saks Fifth Avenue, and we don't expect La Maison Simons to target London in the next several years. Sears will be vacating this space by February 28th, 2014. This 122,000 square foot Sears store could be reconfigured into multiple-tenant retail or be occupied by the likes of Nordstrom or La Maison Simons. Richmond has considerable household wealth, despite income statistics that might indicate otherwise. The mall enjoys sales of about $700/square foot, but may require renovations to entice any new upscale anchors. Sears will be vacating this space by February, 2015.
for Sears' Scarborough Town Centre lease could further be realized. This is easy money for Sears, and it leads us to anticipate that more Sears Canada leases will be sold in the coming months. "London", "Markham", "Markville Shopping Centre", "Masonville Place", "Richmond Centre", "Sears", "Sherway Gardens", "Toronto Eaton Centre", "Toronto"
Holt Renfrew could keep its location at Toronto's Sherway Gardens open, contrary to what we reported in April. A source tells us that despite its opening a 120,000 square foot store at Mississauga's Square One in 2016, Holt's may keep and enlarge its Sherway Gardens store as well. If Holt Renfrew keeps its Sherway store, it will make for a total of 10 full-sized Holt Renfrew stores in Canada. Holt Renfrew's Sherway Gardens store is currently one of its smallest, at 33,670 square feet. It is located in a part of the mall currently under expansion. No word yet on the size or configurtion of a renovated Sherway Gardens store if it does, indeed, stay in the mall. Holt Renfrew is in the process of a substantial expansion that will see its square footage expanded by 40% via a budgeted $300 million. It is doubling the size of its Yorkdale store in Toronto and will likely expand its Vancouver store over the coming 24 months. More on the possible Vancouver store expansion will follow shortly. "Holt Renfrew", "Sherway Gardens", "Square One Shopping Centre", "Toronto"
Nordstrom has released more renderings of its Canadian stores, and we've got updated information from our Nordstrom insider. The new renderings are of the Ottawa, Calgary and Toronto Sherway Gardens stores. These join previously released renderings of the flagship Vancouver BC store and recently announced Toronto Yorkdale Shopping Centre stores. Ottawa's Rideau Centre will get a 157,000 square foot, two-level Nordstrom store on the top two floors of the mall's former Sears store. The exterior rendering of the store is the top image in this article. Our Nordstrom insider informs us the store will include an expanded women's designer department called 'Collectors' that will directly compete with the small designer floor at Ottawa's Holt Renfrew. Our Nordstrom insider tells us they are also well aware that Hudson's Bay plans to start renovations on its Rideau Street store and that Hudson's Bay will attempt to beef-up its designer offerings. Nordstrom will attempt to secure many designer labels Hudson's Bay would carry including Rachel Roy, Spendid, Diane von Furstenberg, McQ Alexander McQueen and "many others". Our Nordstrom insider says despite Hudson's Bay's renovations (and eventual inclusion of a TopShop concession), Nordstrom will trump Hudson's Bay especially in the area of shoes and customer service. Thank you to our Ottawa Retail Insider Geoffrey Hall for directing us to the Ottawa store renderings. The Calgary Chinook Centre Nordstrom will occupy about 140,000 square feet of Chinook Centre's former 173,000 square foot Sears store. The store will be two floors and we'll soon reveal the store's department layout, as per our Nordstrom insider. The front portion of the former Sears store will be configured to multi-tenant retail, while the back half of the former Sears store will be Nordstrom. See the image below, showing Nordstrom's partial occupation of the former Sears. Nordstrom's Calgary store will go head-to-head with Hudson's Bay and (to a lesser extent) Harry Rosen. Our Nordstrom insider says that Nordstrom, again, will excel in areas of designer clothing, shoes and customer service. The two-level Sherway Gardens Nordstrom store will be about 138,000 square feet and will be built where Sporting Life is currently located. Our Nordstrom insider says it will feature a 'small' women's Collectors department and will carry less variety than the new Yorkdale Nordstrom store which will be about 50,000 square feet larger. In December 2012 we provided information on the proposed layout of the Sherway Gardens Nordstrom store. Nordstrom will have less upscale competition at Sherway Gardens, however, as Holt Renfrew will leave Sherway for a new 120,000 sqaure foot store at Mississauga's Square One Shopping Centre. We previously provided images of the recently announced Yorkdale Shopping Centre Nordstrom store, and our Nordstrom insider tells us it will attempt to secure a sufficient designer roster to compete both with Hudson's Bay, Harry Rosen and Holt Renfrew. Holt's will still be "by far" the most upscale anchor at Yorkdale, though Nordstrom will attempt to outdo Holt's in the customer service department. Both will battle for shoes, especially with Holt's soon-to-open 10,000 square foot shoe department. Our Nordstrom insider also says Harry Rosen should be vigilant since Nordstrom will put great effort into offering quality designer men's clothing and accessories with exceptional customer service. 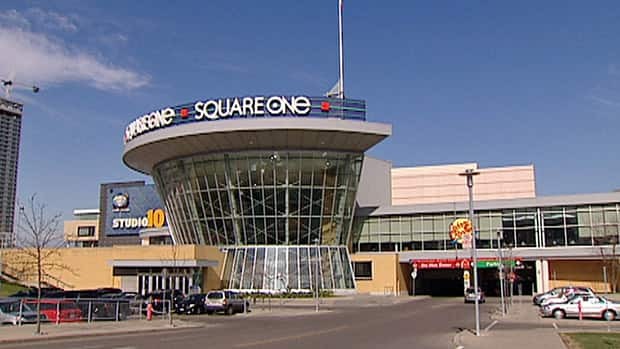 "Calgary", "Chinook Centre", "Nordstrom", "Ottawa", "Rideau Centre", "Sherway Gardens", "Toronto"
Holt Renfrew is in talks with Oxford Properties to open a store at Mississauga's Square One Shopping Centre. Negotiations have been ongoing for several years, according to a source at Holt Renfrew head office. This store would replace Holt Renfrew's current Sherway Gardens store. Negotiations with landlord Cadillac Fairview for an enlarged Holt Renfrew store at Sherway Gardens have been unsuccessful and Oxford has jumped in to lure Holt's away from Sherway into a newly renovated Square One Shopping Centre. In July 2012 we reported on Holt Renfrew's expanding its Sherway Gardens store to 102,000 square feet. It appears we may have published this information in haste, given the now-stalled negotiations. The Globe & Mail reported Sunday evening on Holt's potential Square One move. The link to this Globe & Mail article can be found [here]. We will update readers as we learn more of Holt Renfrew's possible relocation in the Western Greater Toronto Area. "Cadillac Fairview", "Holt Renfrew", "Oxford Properties", "Sherway Gardens", "Square One Shopping Centre", "Toronto"
One of our Nordstrom insiders is involved with Canadian store planning. Our insider provided us some information about the layout of Canada's first four Nordstrom stores. First hint: Shoes will take a substantial square footage in each store. Retail Insider is going to provide selected Nordstrom store details in the next couple of weeks because 1) We're too busy to do it on one long article and 2) We want you to keep coming back to read our website. And believe us it will be worth it. In January our website will look substantially different and will include new features including podcasts, for example. Today we'll have a brief peek at the layout of the Toronto Sherway Gardens store. Sherway's Nordstrom store will be two floors and will be about 138,000 square feet. The store is considered to be a 'satellite' store eventually complimenting a Downtown Toronto flagship location that will be announced after negotiations are completed. The Sherway store's layout will be fairly 'typical' of a Nordstrom store, to be explained below. The ground-level of the Sherway Nordstrom will include a small, quick-food and coffee concept called 'ebar' at the store's mall entrance. As one enters the store, women's shoes will be presented in three departments. Next to e-bar will be a department called 'Salon Shoes', which includes designer footwear such as Valentino, Gucci, Prada and others. Two other adjacent women's shoe departments will be beside it ('Women's Shoes' and 'Brass Plumb Shoes' - both less expensive), all serviced by a substantial storage area behind. The ground level will include two women's handbags departments; one for 'regular' bags and one for 'designer handbags'. Designer handbags may include Jimmy Choo, Yves Saint Laurent and others (it's too soon to say). Jewelry and small accessories will be nearby. A typical cosmetics department will be included on the ground-floor. Nordstrom cosmetics departments are typically densely-packed and adhere to a somewhat uniform look. Menswear will be located on the ground floor. Men's shoes will be an important part, to be located next to women's shoes (to share storage space). Menswear will include departments at various prices including 'The Rail' (casual/denim), men's clothing, men's 'furnishings', men's sportswear and selected pieces from men's 'designers' department, to be revealed at a later date. Childrenswear and shoes will also be located on the ground floor. Nordstom's Sherway second-floor will include several women's departments. 'Collectors' is the name of Nordstrom's designer women's department, typically carrying such designers as Dolce & Gabbana, Gucci, Valentino, Oscar de la Renta and others. St. John womenswear may be carried in its own department, and licensing negotiations for the brand are underway. Other women's departments will include 'Via C' (contemporary designers), Savvy (contemporary sportswear), t.b.d (trendy contemporary), Individualist/Point of View/Studio 121 (all less-expensive women's departments), as well as dresses, coats, lingerie, hosiery, sleepwear, and possibly larger-sizes and petites (known as 'Encore' and 'Petite Focus', respectively). Our Nordstrom insider noted that the Sherway Gardens store may be less-well stocked than some American Nordstrom stores due to 1) its relatively small size and 2) Canadian designers are tightly distributed and many Nordstrom designers already have licensing contracts with either Hudson's Bay or Holt Renfrew. So we can expect a slightly different Nordstrom store in Canada, though our source confirms customer service and shoes will keep Canadian shoppers coming back to Nordstrom, Sherway Gardens. Retail Insider will post regular articles about what is to come with Nordstrom's entry into Canada. We've also interviewed a prominent retail analyst who says Nordstrom has good things but also challenges in the Canadian market. It will be worth the wait. Keep reading and stay tuned! We are re-posting details of the Sherway Gardens mall expansion in Toronto. Yesterday we noted that this announcement would happen today, and will be a major project in a total $1.6billion to be spent by Cadillac Fairview in the next 3-5 years to update and expand its retail real estate holdings. TORONTO, ONTARIO -- (Marketwire) -- 10/23/12 -- The Cadillac Fairview Corporation Limited is pleased to announce today a $350 million revitalization and expansion of Sherway Gardens, an investment that will reinforce the 41-year-old shopping centre's position as west-end Toronto's most popular retail destination. The redevelopment will provide for an additional 210,000 square feet of retail space and a remerchandising of 90,000 square feet of existing space. The project is scheduled to begin in January 2013 and will take approximately 45 months to complete. "Sherway Gardens is one of our best-performing shopping centres, and this revitalization will amplify everything that has made it such a favourite with shoppers," said Clive Baxter, Cadillac Fairview's Senior Vice President, Ontario Portfolio. "By making room for new best-in-class retailers and enhancing our overall shopping and dining environments, we are extending the mall's appeal to the increasingly affluent, discerning shopper that Sherway Gardens attracts." The full renovation will include new flooring, new ceilings throughout common areas, new lighting and a new set of public washrooms. A new three-level parkade will provide customers with 1,200 parking spaces in close proximity to the mall. In addition, the expansion will allow for a significant change to the merchandise mix, increasing the retail area to 1.3 million square feet, including the GTA's first Nordstrom store and four new full-service restaurants. "Food is going to play a much more important role, helping to establish and extend the Sherway Gardens experience as an attractive dining destination, day or night," said Andy Traynor, General Manager, Sherway Gardens. "We are making room for four new full-service restaurants, while literally elevating the prominence of our food court," he said, referring to its relocation within the mall. JOEY and P.F. Chang's are among the new restaurant brands that will open in Sherway Gardens. The mall transformation will also encompass the expansion of both Harry Rosen and Sporting Life, and is designed to continue to attract popular brands, with the recent opening of Tiffany & Co., and Forever 21 slated to open in November. Cadillac Fairview focuses on developing and managing high quality office properties and regional shopping centres in Canada and the United States, as well as international investments in real estate companies and investment funds. With a portfolio valued at more than $20 billion, Cadillac Fairview and its affiliates own and manage nearly 47 million square feet of leasable space at 83 properties across North America, including some of Canada's landmark developments, such as Toronto-Dominion Centre, Toronto Eaton Centre, Pacific Centre and Chinook Centre. "Cadillac Fairview", "Nordstrom", "Sherway Gardens", "Toronto"
Tomorrow morning (Tuesday, October 23rd) Cadillac Fairview will announce a $350million expansion and renovation of its Sherway Gardens mall in West Toronto. We previously reported on this renovation/expansion, which will include a vastly expanded Holt Renfrew store, new Harry Rosen and Sporting Life Stores, and boutiques for Louis Vuitton, Burberry, Kate Spade and others. We don't have much else to report on this expansion except we appear to have beat Cadillac Fairview's announcement by a few weeks. We'll continue to update you on commercial real estate news from retail insiders. "Cadillac Fairview", "Harry Rosen", "Holt Renfrew", "Louis Vuitton", "Nordstrom", "Sherway Gardens", "Sporting Life", "Toronto"